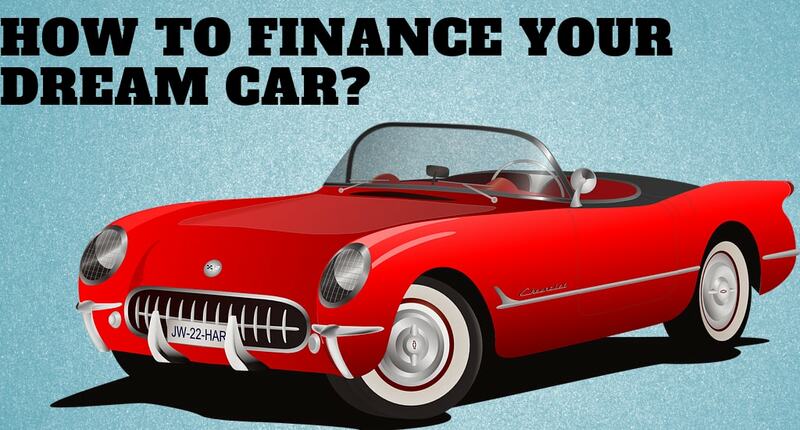 How to Finance your Dream Car ? Are you planning to buy a new Dream car? Have you already selected the brand and the model? Are you eyeing for the best time to put your hands on the steering wheel and zoom off to explore new destinations? If your answers to these questions are in affirmative then you should read this article before taking any decision. This is the very first step when you think of buying a car. It is necessary to answer some questions very honestly. Ask yourself questions such as what your requirements, can you afford your dream car at this moment, do you have other obligations apart from a car loan, how are you planning to repay the loan, etc. You should be very clear about the availability of funds in your hands. Your credit score also plays a vital role in getting loans approved. If you have been disciplined in paying off your credit card bills or EMIs on time, you will definitely have a high credit score and you will get loans at relatively lower rates of interest. However, if you do not have a healthy credit score, you should first try to improve your credit score and then try to get financing for a best car loan. Most dealers these days provide pre-approved car loans to buyers instantly. These agencies have tie-ups with banks and NBFCs that provide these loans at high card rates. As these loans are provided at already higher rates of interest, credit score of the applicant plays a minor role in this case. If you have a poor credit score, you can opt for pre-approved car loans. You should visit the websites of a number of banks or NBFCs and get the average rates offered on car loans. You can also visit an aggregator website and compare car loans offered by various lenders to select the one that suits your requirements the best. You should not only go for the lowest interest rates but also keep an eye on fees and charges levied by the banks. When you zero in on three or four best offers, you should personally visit the selected banks and inquire about the interest rate that the bank can provide you. Financing your car does not always mean that you will apply for a car loan. If you plan to buy a car in future (say, a couple of years), you can start saving money every month and invest the amount to build a substantial corpus when the time for buying the car comes. How you manage your investments will determine what amount of loan you have to take and how to repay it. In India, there are generally two festive seasons – Diwali and Holi. Various banks and NBFCs provide preferential rates on car loans during the festive season. If you buy the car during this festive season, you may get amazing deals and also get a number of additional offers and discounts on your purchase. Your financial discipline in the past plays an important role when you finance your dream car. The amount of effort you make in choosing the best option may sometimes be the difference of thousands in your loan amount. So, it is best advisable to select your car model sensibly, carry out extensive research and then choose the best option available.